From The Lodge of Friendship No.5909 - Warwickshire. 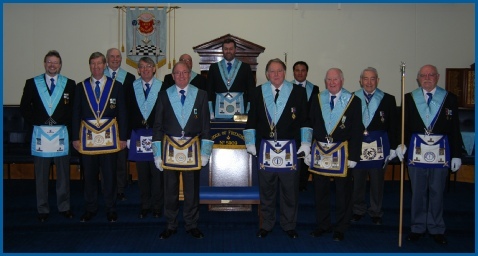 Thank you for visiting our Masonic Lodge website. We hope that you will find something of interest here, if you would like to know more about Freemasonry, we would be very pleased to hear from you. Our members come from all over the world and from all walks of life, coming from all over the region each month to enjoy the warmth and friendship of our lodge, taking part in our meetings and sharing a great meal together, with friends old and new. This is the website for the Masonic Lodge of Friendship 5909 - Warwickshire. Although this Masonic Lodge meets in Birmingham, the old historic county boundaries for Freemasonry mean we are listed as Freemasons in Warwickshire. If you are interested in the history of Freemasonry or would possibly be interested in becoming a Freemason yourself, there is information contained in this website and also the Official Provincial website - see logo - top left.